I am getting pain in the front of my foot and I can’t work out what’s going wrong! 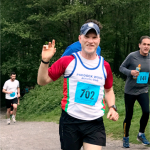 Pain in the front of the foot or forefoot pain, sometimes known as Metatarsalgia, is a common cause of foot pain but can be quite frustrating for runners to self diagnose via Dr Google as it does not fall neatly into a category, such as Plantar Fasciitis or Achilles Tendinopathy. 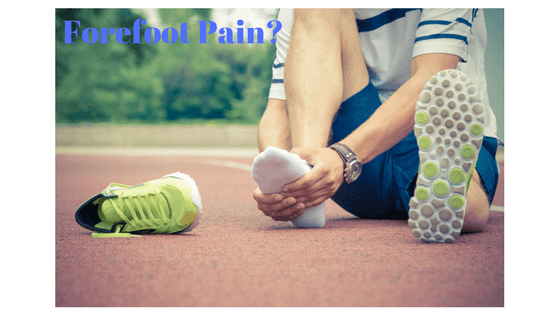 In fact forefoot pain can have many causes, and here are just a few of the main causes. A pinching of the nerve as it runs through the foot between the long bones, or metatarsals. Often feels like a burning pain with pins and needles or numbness in the toes. The pain is sometimes relieved by removing the shoe and rubbing the foot. This one is usually fairly obvious as it presents as a deep ache or sharp pain in the forefoot on weight bearing, getting much worse when attempting to run. You should definitely stop and get help if you think you have this! An injury of the ligament at the base of the toes which adds stability to the toe joints. It causes pain under the foot at the base of the toes, usually under the 2nd toe, especially when pushing off. There is sometimes instability in the toe as a result, causing the toe to look out of place. This is an overuse injury of the small tendons which flex the toes up and down. Weakness in the toe flexors can make them vulnerable to overload as they stabilise the foot against the ground, while compression of the extensor tendons on the top of the foot due to shoes which are too tight can cause pain and discomfort. Blimey, that’s a lot to think about! How can I make it go away? Simple home-based exercises such as the Short Foot exercise to strengthen the stabilising muscles of the foot can help reduce the risk of injury. Making sure your shoes are not too tight can reduce the risk of compression which can lead to a pinched nerve. As you can see, there are many different causes of forefoot pain, and the treatment of each is very different. Your Podiatrist can help diagnose the cause of your forefoot pain and devise a treatment plan involving stretching strengthening, footwear advice and orthotic therapy where needed.